The National AGM is to be held this Saturday, 18th July. 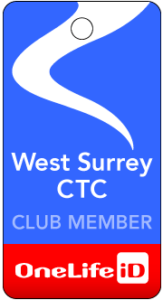 This year there are some important motions that have been put forward, and I would particularly draw your attention to Motion 8, which has been proposed by Mark Waters (Chairman) and seconded by myself, and is presented by the committee on behalf of West Surrey, after much discussion with members. The motion had to be abbreviated as a result of space constraints, but I attach the full motion, and proposer’s note, in order that you may see more of the background. Interestingly, I have still not received any response to my letter. There are other important motions that have been put forward, some by respected members of West Surrey. I would most certainly not indicate which way you should vote, but just say that these are important in my opinion, and can have an effect on what type of club we have in the future. If you have not acted already, I would urge you to give them proper consideration, and vote online by appointing a proxy; the form and 2-part security code are shown on the insert to the June/July issue of Cycle. This must be done by 9.00 am tomorrow, Thursday 16 July. Both Mark and myself plan to attend the AGM (and may have an opportunity to speak) but if you appoint either of us as your proxy you will need to advise us how you wish your vote(s) to be cast.